(CBS News from the Associated Press) WASHINGTON DC. — The federal government, rather than states, should be in charge of regulating self-driving cars since the vehicles are essentially controlled by software, not people, Obama administration officials said Monday as they laid out the outlines of their plans to help get the technology safely onto the nation’s roadways. States have historically set the rules for licensing drivers, but when the driver becomes a computer “we intend to occupy the field here,” Transportation Secretary Anthony Foxx said. States, he said, should stick to registering cars and dealing with questions of liability when they crash. Automakers should also be allowed to self-certify the safety of autonomous vehicles while following a 15-point list of targets for safe design, development, testing and deployment, said officials who briefed reporters. Though companies are not required to follow the guidance — it is voluntary and does not carry the force of formal regulation — Foxx said he expects companies to comply. “It’s in their vested interest to go through the rigors that we’re laying out here” to gain the confidence of both regulators and the public, Foxx said. In somewhat contradictory fashion, officials also said the National Highway Traffic Safety Administration (NHTSA) is examining whether it should have “pre-market approval” authority, in which the government inspects and approves new technologies like autonomous vehicles. That would be a departure from the agency’s historic self-certification system and might require action from Congress. Traditional automakers and tech companies have been testing self-driving prototypes on public roads for several years, with a human in the driver’s seat just in case. The results suggest that what once seemed like a technology perpetually over the horizon appears to be fast approaching, especially with car companies announcing a string of investments and acquisitions in recent months. Federal officials have been struggling with how to capitalize on the technology’s promised safety benefits — the cars can react faster than people, but don’t drink or get distracted — while making sure they are ready for widespread use. The new guidance represents their current thinking, which they hope will bring some order to what has been a chaotic rollout so far. Self-driving cars hold the potential to make transportation safer, cleaner, more accessible and more efficient, officials said. “We’re envisioning a future where you can take your hands off the wheel and the wheel out of the car, and where your commute becomes productive or restful rather than frustrating and exhausting,” said Jeff Zients, director of the White House National Economic Council. Officials spoke to reporters ahead of a news conference scheduled for Tuesday at which they planned to provide greater detail of their guidance to automakers and states, as well as new powers and resources NHTSA may require. NHTSA has been striving to make the guidelines a concise framework, rather than a lengthy set of detailed standards and regulations. The agency’s administrator, Mark Rosekind, has said he wants the guidelines to be flexible to keep pace with industry innovation. Automakers sought the NHTSA guidance in part because they fear a patchwork of state laws will slow or complicate deployment of self-driving cars. Some state lawmakers see the advent of autonomous cars as a way to attract technology companies and spur economic growth, and are proposing laws friendly to the technology. The Michigan legislature, for example, is considering bills that would allow the testing of self-driving cars without brakes or pedals on state roads. New York, on the other hand, has a longstanding law that requires drivers keep one hand on the wheel at all times, which undermines the rationale for self-driving technology. The Chicago City Council has proposed banning self-driving cars altogether in their city, while Boston is going in the other direction, launching a yearlong program with the World Economic Forum to test the vehicles on its streets. Last week, Uber began offering free rides in self-driving cars to customers in Pittsburgh, making it the first company in the U.S. to offer use of the vehicles to the public. The cars have a person sitting in the driver’s seat ready to handle situations beyond the abilities of the technology. 3. With what voluntary federal guidelines does Transportation Secretary Anthony Fox expect automakers to comply? 4. For what reason does Secretary Fox say automakers should comply with the recommended guidelines? 5. What would the NHTSA granting itself “pre-market approval” enable the agency to do? Why might this require action from Congress? 7. For what reason did automakers ask the NHTSA for the guidelines? 8. Do you think it is necessary for the federal government to be in charge of regulating self-driving vehicles in every state, or are state governments capable of creating their own rules for them? Explain your answer. a) Re-read paragraphs 13-14. List the different ways Michigan, New York, Chicago and Boston are approaching the issue of self-driving cars. b) Write out the text of the Tenth Amendment to the Constitution. c) Read a list of the enumerated powers, which are a list of items found in Article I, Section 8 of the U.S. Constitution that set forth the authority of Congress. 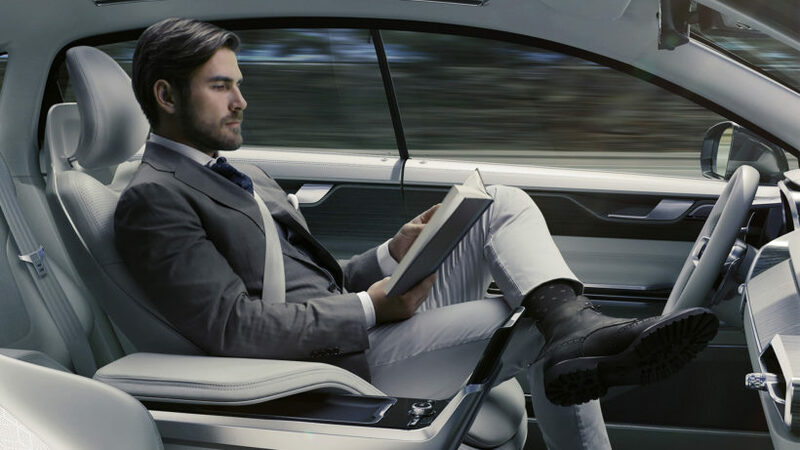 Do you think that although not specifically listed as one of the enumerated powers, the NHTSA should be authorized to regulate self-driving cars, or should this be left to the states as stipulated by the Tenth Amendment? Explain your answer. A Federal Agency is an administrative division within the federal government to serve specifically assigned purposes across the legislative, judicial and executive branches of the government. There are currently over 125 different federal government agencies and commissions. A regulation is a general statement issued by an agency, board, or commission that has the force and effect of law. Federal regulations are created through a process known as “rulemaking,” which is governed by the Administrative Procedure Act (APA). The Administrative Procedure Act (APA) governs the process by which Federal agencies propose and establish new regulations. The APA generally requires agencies to provide public notice and seek comment prior to enacting new regulations. The National Highway Traffic Safety Administration (NHTSA) is a federal agency. provides vehicle insurance cost information. Under President Obama, the agency has asserted preemptive regulatory authority over greenhouse gas emissions, but this has been disputed by such state regulatory agencies as the California Air Resources Board. Public comment explained: Once a proposed rule is published in the Federal Register, a public comment period begins, allowing the public to submit written comments to the agency. Most agencies are required to respond to every issue raised in the comments. Depending on the complexity of the rule, comment periods may last for 30 to even 180 days. Public comment is a specific term of art used by various government agencies in the U.S., a constitutional democratic republic, in several circumstances. It is sometimes called “vox populi“. Generally these circumstances are open public meetings of government bodies which set aside time for oral public comments, or comments, usually upon documents. Such documents may either be reports such as Draft Environmental Impact Reports (DEIR’s) or new regulations. There is typically a notice which is posted on the web and mailed to more or less ad hoc lists of interested parties known to the government agencies. If there is to be a change of regulations, there will be a formal notice of proposed rulemaking.